It's gotten to the point where teachers must use technology in class. Smart boards, Youtube, blogs, wikis, Blackboard, smart phones, tabs are just a few of the options that you have to choose from. 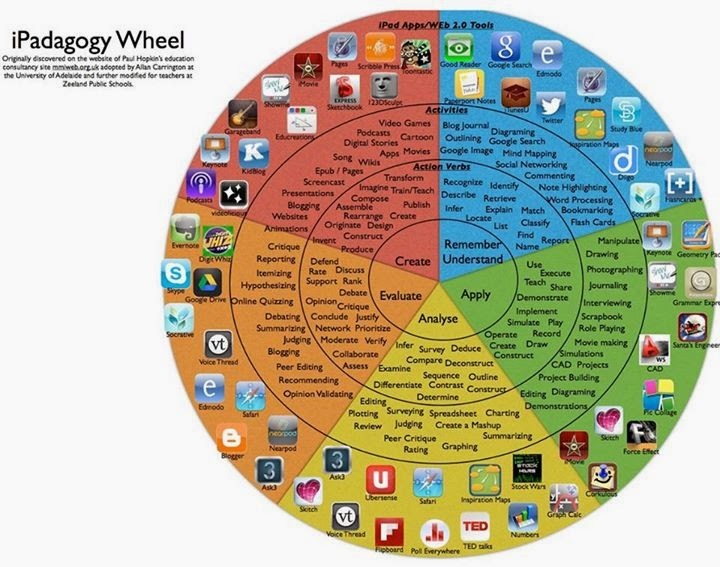 Here's a photo from Educational Technology which as a bunch of ideas on how to use an iPad in class. It's based on Bloom's Taxonomy. From smart boards, to Youtube, and even smart phones and tabs, there are lots of options to choose from. You can see the photo on the right or go to this link to see a larger version.